** note that some screen shorts are in spanish. 1- WSDD transaction: we go to the workflow “WS20000040”. 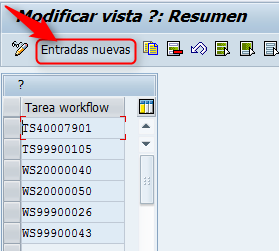 In the top menu we will press “Workflow”> “Save as …”. We add the data name and description (free text). After saving the data will generate a new workflow with an identifier similar to WS9xxxxx. It is important to save this identifier. Let’s set up the approval task. For this, we go to step 416 “Authorize travel data” (on the right hand). 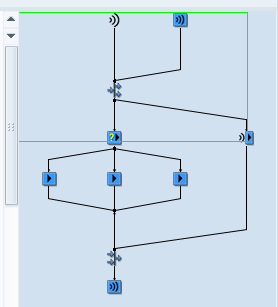 Click on the “Control” tab and get the task number of the workflow “TSxxxxxx”. 2- We copy the standard task to modify in the transaction “PFTC”. 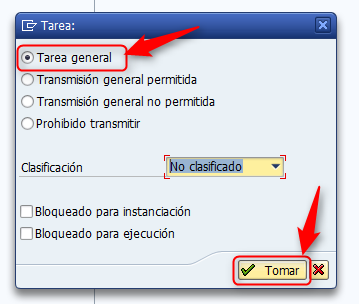 To do so, enter “Standar task” as a type and the task selected in last step. Then press button Copy. Then add description and identify (Text free) and save register. 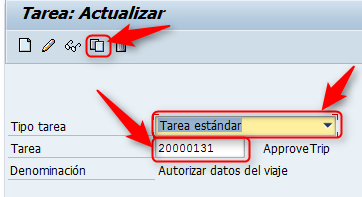 3- We return to the transaction: WSDD to change the standard task for our modified task. We look for our workflow, once inside, look for the task “Authorize data of the trip” and click on the tab “Control” (As we have done previously). The last step is to save and activate the workflow. 4- We go to the transaction: SWE2 and look for the object type: BUS2089. By default this type of object will have the WS20000040 standard workflow for the CREATED and REQUESTCREATED events. 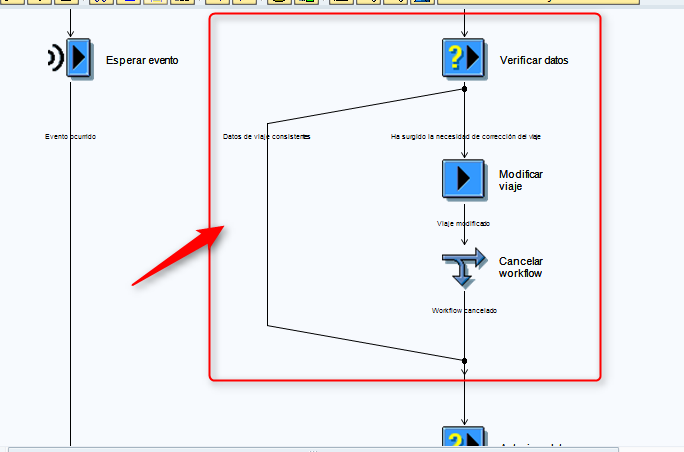 We will show the detail of the event, we will add here the workflow before generated WS9xxxx. We do the same procedure above with the event “REQUESTCREATED”. With transaction SM30 we will modify the table “SRA008_T_TASKTYP”. 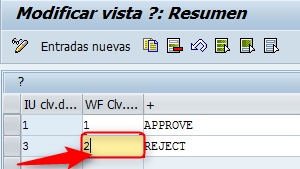 In this table we will add the generated workflow (WS9xxxxx). Thanks to @gfandosg for the help to make this tutorial. The points 1-4 also apply for any other UI besides Fiori, i.e. this has nothing to do with Fiori itself and has already been documented in-depth by colleagues from SAP. Check this wiki.